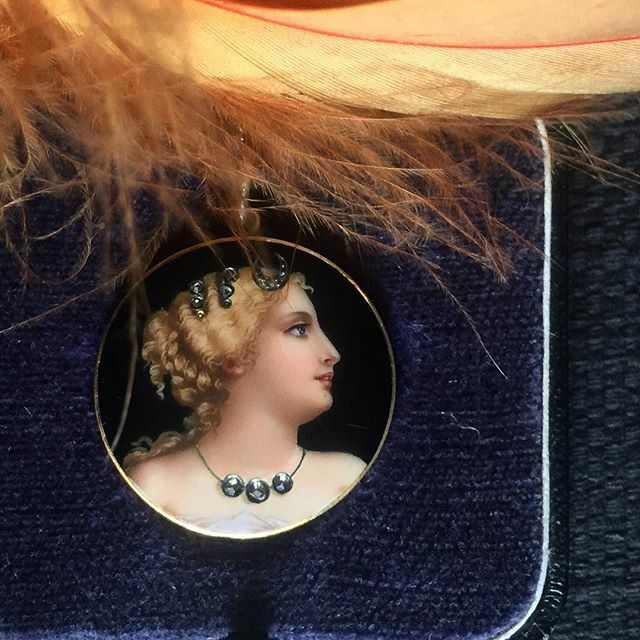 Finely painted enamel highlights - this beauty's wavy hair, creamy blush and - quite risqué for the time period - bare décolletage . Her hair is accented with a diamond moon and crown, and she is wearing a diamond necklace - a fantastic feature of jewelry wearing jewelry. A velvety black background strikes romantic contrast. This is one of the loveliest pendants we have had in the shop and a true collector's piece. 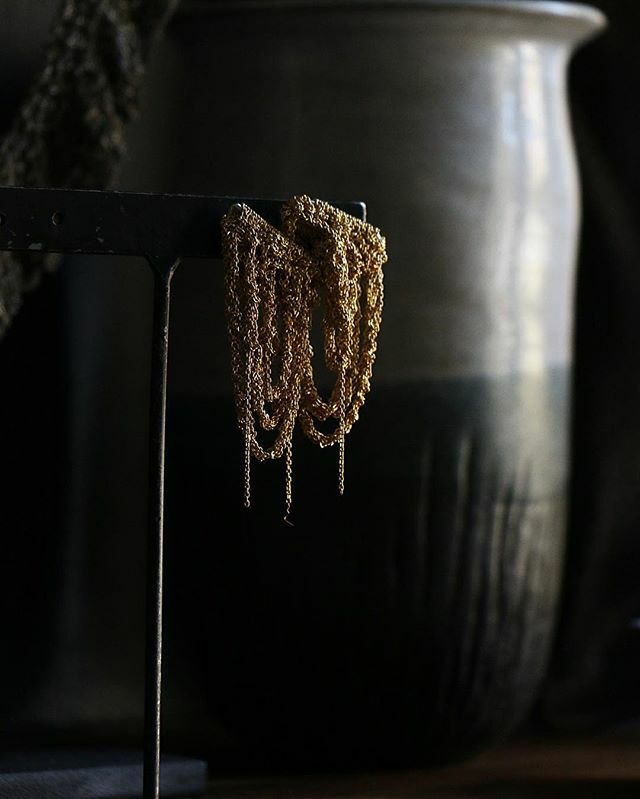 Stunning, hand oxidized gold vermeil chain is woven to form fluid draped drops. 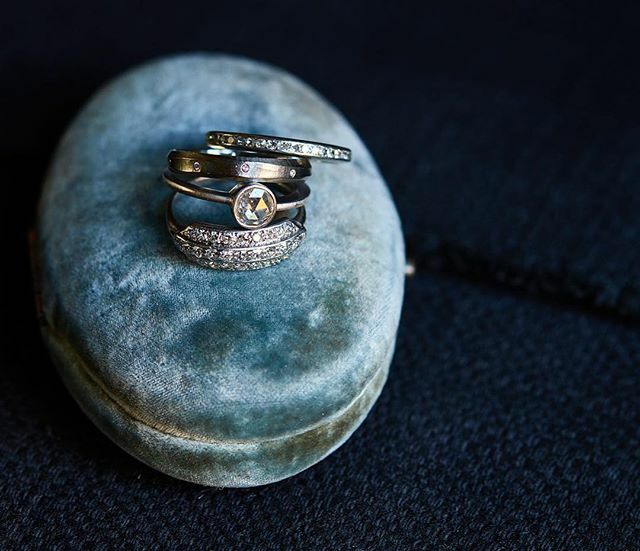 Antique Platinum and Diamond Eternity Band c.1920's (in-store), Rebecca Overmann 14k Oxidized White Gold Stream Band, Gillian Conroy 18k White Gold & White Rosecut Diamond Ring, Antique Edwardian Platinum and Triple Row Diamond Band. Gabriella Kiss "? ! 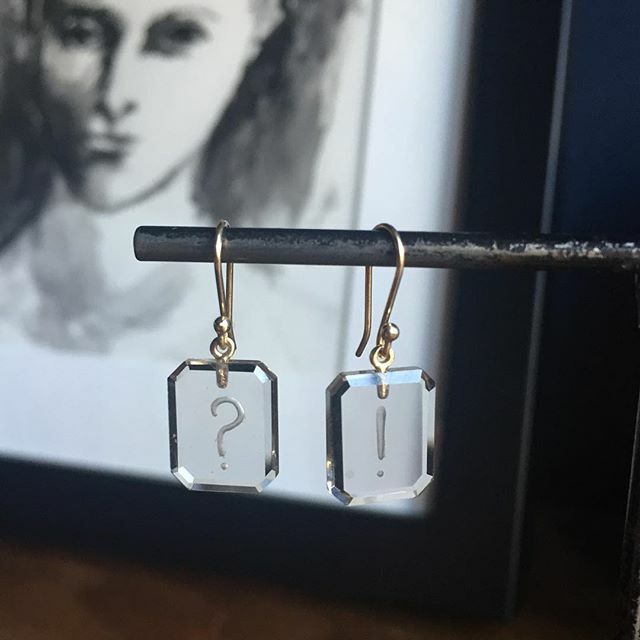 "Engraved Smoky Topaz Earrings (in-store) and available online with a bow and arrow motif. Spectacular French "Bague au Firmament “ or "ring of heaven". Celestial allusion jewelry was very au courant in France in the late 1700's. Popularized by the lovely Marie Antoinette who frequently wore a "Bague au Firmament" ring and was one of the most followed trend setters of the day. The dark blue vitreous enamel with diamond “stars" evokes the night sky. The navette or marquis shape of the ring is highlighted by a zig zag border of etched rose gold and is protected by a gently curved rock crystal face with a frame of mine cut diamonds. 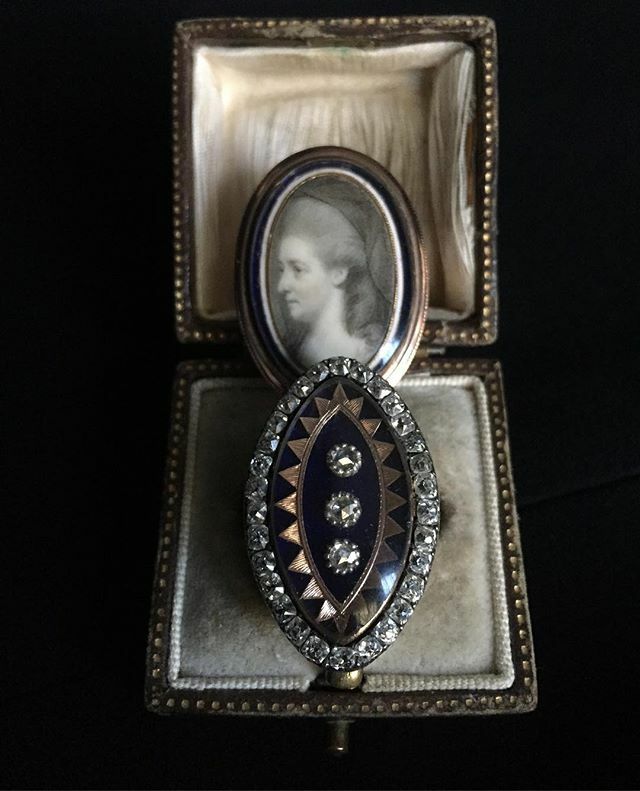 Striking French Grissaile Portrait Ring. The portrait features a simple blue and white enamel border and is set behind a smooth rock crystal lens. She has blues eyes and a subtle blush to the lips and cheek. We adore the slightly austere look of the grey tones painting and elegant profile of this mysterious lady. c. 1780”s. My daughter was married at wedding venues chicago and all our guests said that this is the most amazing wedding they've ever been too. I love the dark wood, the beamed ceilings, and the overall sort of great vibe of the building.